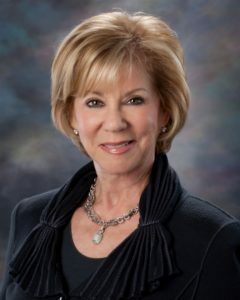 Powerhouse, trailblazer, and dynamic reformer, the Honorable Florence Shapiro won the 2013 Mary Harriman Community Leadership Award from the Association of Junior Leagues International Inc. (AJLI). 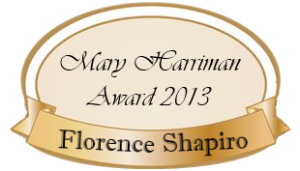 The Mary Harriman Community Leadership Award celebrates a woman of outstanding leadership in The Junior League who has used her talents and resources to improve the social and economic conditions of others and who exemplifies The Junior League Mission and Vision. She has made a positive impact in her League and her community, and her volunteer work continues in the tradition of Mary Harriman. Through advocacy, collaboration, direct service, or community education, she embraces her community and makes a unique and significant difference as a leader. This award provides a contemporary link to our founder’s sense of social responsibility, as well as her ability to encourage others to share their talents through effective volunteer service. *Note: The Past Presidents’ Award was created in 1981 to honor extraordinary commitment to the League. The rules for the award were created and approved in 1994 by the Past Presidents and updated in 1996 and 2013. The recipient is selected by the five most recent Past Presidents at a meeting to be held a month prior to the May President’s Dinner and Annual Meeting.